42 people have been killed in Paradise, while 200 remain missing. Much of the town has been reduced to ashes, coroners and other search teams have panned out across the area, and two portable morgues are remaining on standby. Only about 30% of the fire is contained and it continues to ravage the hills and ravines of the city of Chico. It is the most destructive wildfire in California history. It has burned 125,000 acres and has destroyed over 7,600 structures, most of them being homes. Paradise had a population of 27,000 before the fire, most of them being retirees and families with children seeking relief from the expensive costs that come with living in California cities. Since the mandatory evacuation, Paradise is now empty of its residents. The Woosley Fire in South California has taken the lives on two people and has burned 150 square miles and was continuing to threaten homes in Ventura and Los Angeles. 435 structures have been destroyed, but firefighters believe they are gaining the upper hand. 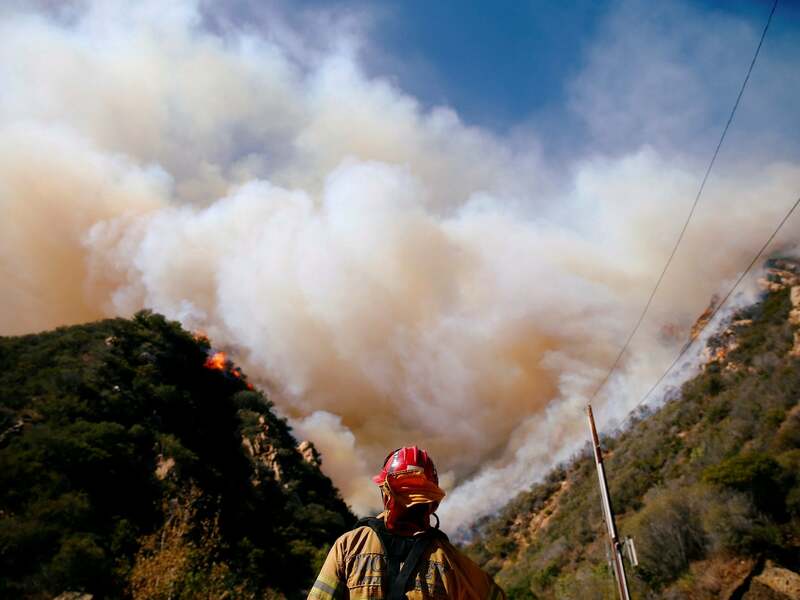 Still, a flare-up earlier Tuesday sent large plumes of smoke coming from mountains near Thousand Oaks, forcing road closures and evacuations. Those flames were mostly under control within a few hours. The fires have even affected multiple celebrities. The Woosley Fire has destroyed the homes of singers Miley Cyrus, Neil Young, and Robin Thicke and actors Shannen Doherty and Gerard Butler. “My house no longer stands but the memories shared with family & friends stand strong,” Cyrus said on Monday on Twitter. “I am grateful for all I have left,” she added, expressing thanks to emergency responders and encouraging supporters to donate to organizations helping with the recovery. Shannen Doherty, known for her roles in “Beverly Hills, 90210” and “Charmed,” wrote on Instagram about losing the home where she stayed after her father’s death and where she was later married. “It’s the place I felt my dad with me,” she wrote. “It’s gone. Fire has taken it away. I’m devastated by all that’s happening. My heart is ripped apart. The wildfires threatened the homes of Kardashians Kourtney; Kendall; and Kylie, but no destruction has been reported. American Red Cross and the California Community Foundation’s Wildfire Relief Fund are seeking donations to help aid those who are being affected by the fires.